I say this is my favorite book of the month and of the year because I have never read something more powerful, more heart wrenching, more utterly raw than this. This book made me ugly sob many times throughout as I read the stories of these four friends who met in college and continued their friendships throughout their adult lives. I can honestly say that while the content of this book is heavy, so very heavy, this book is a must read at some point in your life. This book is one of the greatest stories I’ve ever read about life, love, loss, and above all, friendship. I gave this book a 5 out of 5 stars on Goodreads, only because that’s the highest rating I could give it. I read this book back in high school and I’ve been wanting to re-read it for awhile. I found a copy at my local bookstore and decided now was the time to give it a read! Melinda is a freshman in high school. She’s an outcast, she’s friendless, and she’s practically mute. After a party that went seriously wrong during the summer before her 9th grade year, she’s never been the same. This is her story about learning to speak up for herself. I’ll admit, when I read this in high school, I loved it. It’s written from a 9th grade girl’s perspective, so it was really relevant to my high school life. Re-reading it now, I didn’t find it as good—I just wasn’t a huge fan of Anderson’s writing style. However, I love the message Anderson is conveying to her readers—speaking up for yourself and not allowing others to silence you is important. 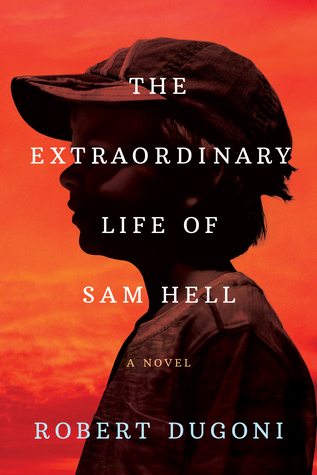 Born with an ocular deformity, Sam Hill must navigate life with red pupils. He’s known as Devil Boy by his peers but his mother says that his deformity is a sign from God that he will live an extraordinary life. The book skips around, telling the story of Hill’s life from his childhood in a strict Catholic school to his adulthood, navigating relationships. I enjoyed Dugoni’s writing style and this book. A Goodreads award-winning novel based on true facts, Before We Were Yours is the story of a family caught in scandal of the notorious Tennessee Children’s Home Society. While this won the Goodreads 2017 Choice Award, I still didn’t love this book. I gave this book a 2 out of 5 stars on Goodreads.